So digital citizenship is nearly the same thing–”the quality of a response to membership in a digital community” would be a good first crack at the definition. 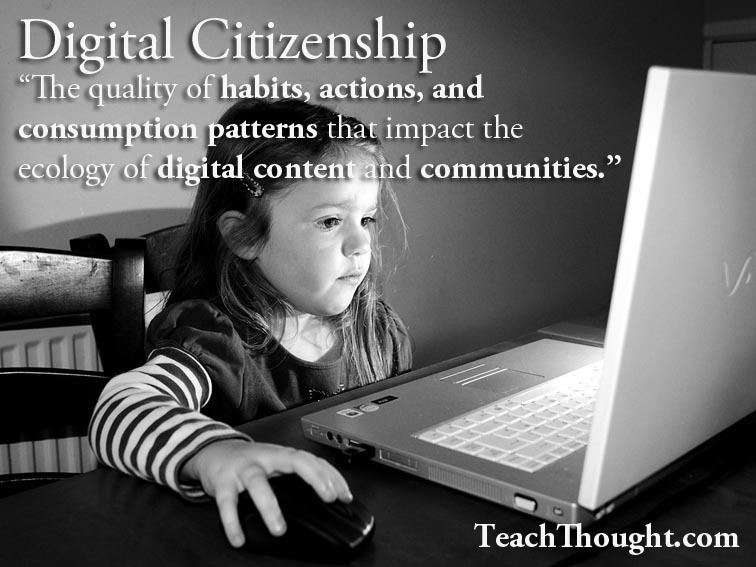 Later this week, we’re going to have a more in-depth look at the characteristics of digital citizenship, but the infographic below I ran across on educatorstechnology.com last week takes a more student-friendly approach by defining digital citizenship in terms of its actions and habits: using, sifting, mastering, creating–the literal actions that ultimately define the tone of a student’s interactions with their digital environments. This makes it useful not just as a visual for teacher understanding, but for students to discuss, internalize, and apply themselves. In fact, hanging it in the classroom, computer labs, media centers, and other highly-visible places might make sense as well: the rules of the world of digital networks and social media.